May 17, 2017 -- What is the most important information to communicate to your pregnant patients? In observance of National Women's Health Week, DrBicuspid.com spoke to dentists and obstetricians about how pregnant women can best take care of the oral health of themselves and their children. Some recommendations have evolved and may surprise you. In the not-so-distant past, dentists weren't encouraged to treat pregnant patients. But guidelines published in recent years, such as those released by the American College of Obstetricians and Gynecologists in 2013, emphasize the importance of maintaining good oral health during pregnancy, the safety of dental treatment at this time, and the benefits of both to women and their children. Also, dental schools are now teaching the importance of treating pregnant women. Melanie Mayberry, DDS, from the University of Detroit Mercy School of Dentistry. One program that connects oral healthcare providers with obstetricians is the Double O 3T Program at the University of Detroit Mercy School of Dentistry. Created by Melanie Mayberry, DDS, and Bernard Gonik, MD, the program involves Detroit Mercy dental students and obstetric residents from Wayne State University and Hutzel Women's Hospital in Detroit. 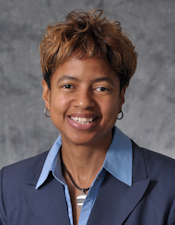 Dr. Mayberry is the chairperson of the department of oral health and integrated care and a clinical associate professor at Detroit Mercy School of Dentistry. Dr. Gonik is a professor and the chair of perinatal medicine at Wayne State's School of Medicine. "A mother who has poor oral health has a greater chance of transmitting cavity-causing bacteria to her newborn, even when the newborn doesn't have teeth," Dr. Mayberry said. Additionally, dentists and obstetricians have compiled written information and videos for pregnant women and dentists about oral health during pregnancy. Among them, the Prenatal Oral Health Program provides a website with helpful information. What follows are four important pieces of information that oral health professionals should communicate to their pregnant patients. A pregnant women's oral health can affect the outcome of her pregnancy. Studies have found associations between periodontal infections and preterm birth, or babies being born early. However, research has not shown that pregnancy outcomes improve with dental treatment. "Poor oral health can negatively impact birth outcomes," Dr. Mayberry told DrBicuspid.com. Pediatric dentist Anupama Tate, DMD, MPH, emphasized the connection between the mouth and the entire body. She is an associate professor of pediatrics at George Washington University School of Medicine and the director of advocacy and research in the division of oral health at Children's National Medical Center in Washington, DC. "Poor oral health for a pregnant woman could be linked to birth complications like pre-eclampsia, preterm birth, and low birth-weight infants," she said. Studies have found that obtaining dental care, whether regular cleanings, placement of fillings, teeth extractions, imaging, or other procedures, is safe during pregnancy, and dentists and obstetricians who spoke with DrBicuspid.com recommended it. "Dental treatment during pregnancy, including dental radiographs with proper shielding and local anesthetics, is safe during all trimesters," Dr. Tate said. Oral health for oral health's sake is important, said Kim Boggess, MD. She is an obstetrician/gynecologist (ob/gyn) and a professor of maternal fetal medicine at the University of North Carolina at Chapel Hill School of Medicine. "Urgent problems that include pain or fever should be addressed immediately regardless of trimester," she noted. Despite and because of these issues, the dentists and ob/gyns advised that continuing with regular toothbrushing and flossing during pregnancy is important. Using mouthwash containing cetylpyridinium chloride can help eliminate bacteria associated with inflammation that can affect gums, Dr. Samelson added. "Mothers with cavities have kids with cavities," Dr. Quinonez said. "There is a biological connection." Adults can transmit caries-causing bacteria to children in their households through common activities, such as tasting hot food before letting their child eat it or putting a pacifier in their mouth to clean it off, Dr. Samelson explained. This can affect children's primary and permanent teeth. "It's low-tech," Dr. Samelson said. "It's not as fun as an ultrasound."